Girls just learning to play tennis can take the court in any old pair of sneakers. But if you want your daughter to have a fighting chance of becoming the next Serena Williams, you’ll want to put a bit more time and effort into your shoe search. The best tennis shoes for girls are sturdy and provide cushioning and ventilation for repeated wears. These brands and models have proven to stand up to the test. They look fashionable while being tough at the same time. Find a shoe you like, pick up a kids’ tennis racket, and hit the court! Note: Use of the term “best” is meant to reflect one writer’s opinion. Always do your own research in determining which products to purchase. Product images link to the item listing on Amazon. 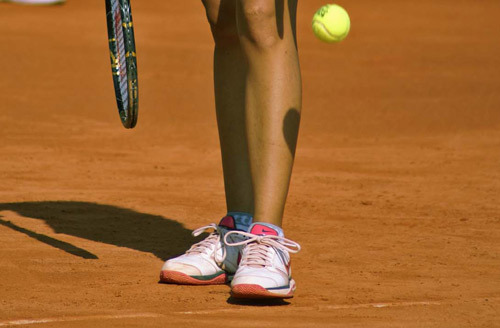 The top tennis shoes for girls are designed for the rough play of a court. This means they feature different treads and sole designs. These fight the vibrations produced by running on the hard court. The right shoes provide comfort and breathability during play. Feet need to breathe, since they tend to be one of the spots where your body loses the most heat during exercise. With these five awesome tennis shoes, you can ensure that your daughter’s game won’t be disrupted. Asics has long been a familiar name in all sports. I’ve had great experiences with Asics shoes for volleyball and running in the past. The company makes a solid girls’ shoe made out of a synthetic material designed for cooling. 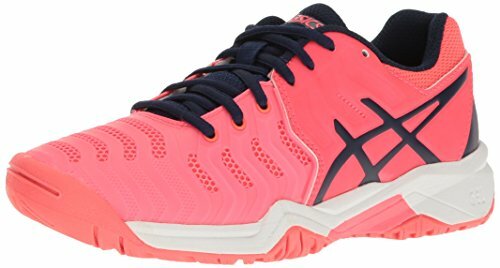 As is the case with nearly all tennis footwear, the Asics shoe has a rubber sole, ideal for damping the vibrations from running hard across the court. It also offers a gel cushioning system to provide additional shock absorption during play. As a nice bonus, these shoes come in two of the coolest color combinations available. Amazon currently offers the shoes in lavender/tangerine and pool blue/indigo blue. This model from New Balance comes in a few colors. One is a boring plain white, but they others – orange, pink, blue – look really sharp. If your youngster has wide feet, you’re in luck. Many parents report that girls with wide feet find this model comfortable. 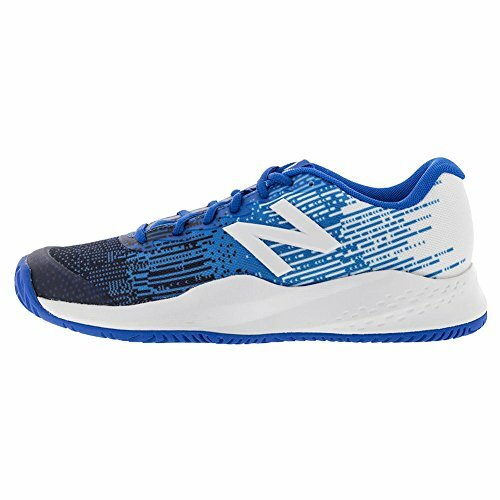 The New Balance features synthetic material coupled with mesh for added ventilation. The synthetic leather helps for additional durability while maintaining cooling. The rubber sole pairs with a specialized arched IMEVA midsole and an Ndurance outsole for durability. In terms of pure fashion, Fila tennis shoes may have peaked in the ’80s or ’90s. But in the tennis world, Fila remains a giant. Top players like Marin Cilic, John Isner, Sam Querrey, Karolina Pliskova, and Jelena Jankovic sport the brand. 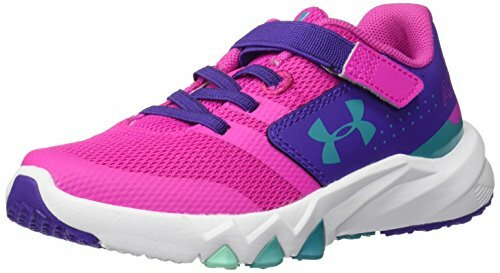 This Ultraloop shoe comes in two models: one for kids 4-8, and one for older kids. They come in a number of fashionable color schemes. But most importantly, they offer a padded tongue, a sturdy leather and textile design, and a rubber and EVA sole with heavy tread to prevent slips. 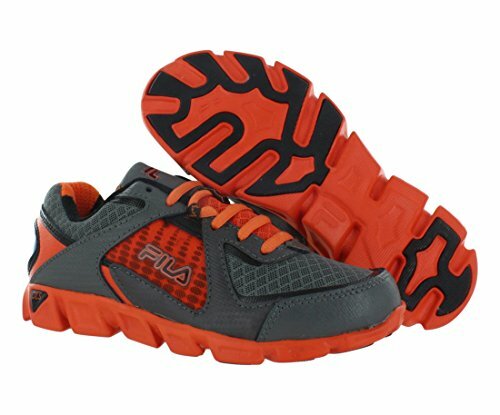 Note: Since this article was published, the Fila shoes are only available in boys’ sizes on Amazon. We are hoping the girls’ sizes will return and will update the article if that happens. Even the littlest budding tennis players should be concerned with getting a proper tennis shoe fit. This special shoe is designed for younger girls up to age 8. While older kids will have to choose one of the other options, the young ones can enjoy the neon pastel colors and the cushioned midsole. Leather, synthetics, and rubber make up the shoes. They feature a cool velcro strap and stretchy shoelace pairing, which allows for a softer feel and additional ventilation. They’re also more affordable than some other kids’ shoes. 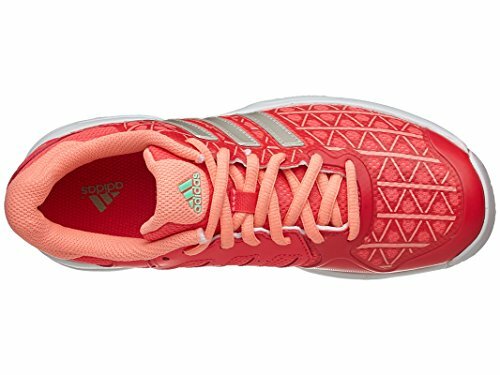 These performance tennis shoes for girls meet the high standards for which Adidas is known. This shoe costs a little more than some of the others, but the quality of Adidas shoes typically justifies their price. Girls who wear this model are getting the company’s adiprene heel cushion, ADITUFF toe resistance feature, and OrthoLite sockliner to combat odors. In addition to the quality of the materials, the Adidas Club XJ tennis shoes for girls come in really nice designs. In particular, the “tech steel/flash red” model is really freaking cool. I’d wear that design in a heartbeat. You can always count on Adidas shoes to look good.